Ever hear of Love Madison Weddings? 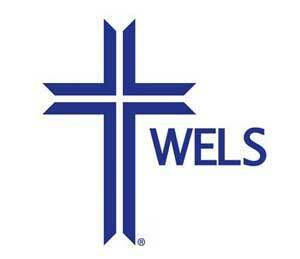 It is a great website and service all about weddings in the Madison and surrounding communities. Check them out on Facebook. I’m often asked who are my number one customers are. Men? Are they more careless than women? Many of my hunts have occurred at parks with guys playing a pickup game of football, softball or frisbee. Once the game is over, they realize their ring is gone. Women? Are they too careful with their rings? I’m surprised at how many times I’ve heard, “I took my rings off and put them in my purse or pocket for safe keeping.” However, that safe place turned out to be not so secure after their ring was no where to be found. Engagement Ring a Little Loose? We can debate which gender is more likely to lose their ring, but I can tell you my favorite customer is a recently engaged couple. Picture the woman who just had all her childhood dreams come true when prince charming got down on one knee to propose. The ring didn’t fit exactly right, but look how beautiful it is. Yeah, it’s a little loose … but I haven’t shown my family my new ring yet. Yes I know that I should get my ring resized, but that means I have take it off. These are the ring hunts that I absolutely love to go on. However they can also be some of the more heartbreaking hunts when the ring cannot be found. This is one reason I was so excited when Love Madison Weddings agreed to do a blog post on my www.LostandFoundRing.com business. The blog post covered many other questions that I’m commonly asked. Check out the article at Love Madison Weddings, “Don’t Panic! 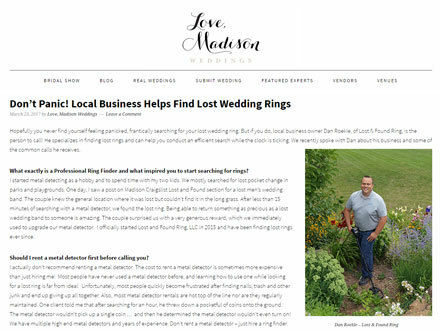 Local Business Helps Find Lost Wedding Rings”. Also, while you are there, check out the rest of their website for useful article and resources for planning out your wedding.